Holidays are getting near and you are looking for a nice place to stay for your most anticipating holidays trip, perhaps at one of the the best resorts in Malaysia? A place where it could give you and your family a peace of mind and scenic views which could melt down all your stress and fatigues away? The best place you should go is somewhere you can take a breath of fresh air and be surrounded by mother nature. That is what you and your family need—a getaway from the hustle and bustle of the city. It is indeed an important factor to choose a very comfortable lodging when you are on a vacation. 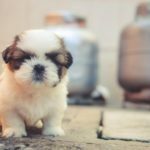 Even though it’s just a place to stay however it plays an important role in making sure your vacation to be more relaxing and enjoyable. At the end of the day, the purpose of people going on a vacation is to release their stress and to pamper themselves as much as they can. If you are looking for a place that is surrounded by mother nature and a picturesque scenery then certainly resorts would be a great place for you to stay for your long vacation. There are in fact a lot of things that you can do when you choose resort as your place to stay for your lodging. Resorts usually built on a spread-out land which the extra lands allow for more activities where guests could partake in. 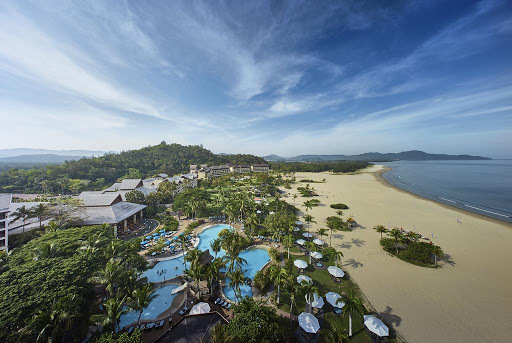 Commonly, the best resorts in Malaysia are located close to the beach or seaside area where their guests can have an easy access to the beach. It is also one of the main attraction and a major factor why most people chose resorts for a place to stay. Besides that, the guests could enjoy water sport activities such as surfing, scuba diving, parasailing and such which usually will be provided by the resorts. Meanwhile, if the resorts are located near the mountain or in the hillside area, the guests could also participate in activities such as hiking, mountain climbing, trekking and many more if they want to try out something new and different for a change. 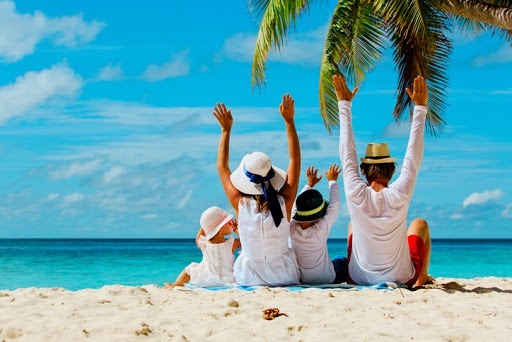 Resorts are undoubtedly the best place to stay for a vacation especially for family bonding time where you want to spend your quality time while doing something meaningful with your family, partners, friends or even your colleagues and employees. Furthermore, resorts main purpose is to offer relaxation and recreation on top of providing meals, accommodations and other basic amenities which makes it more interesting rather than choosing hotel as your holiday accommodation when you are on vacation. 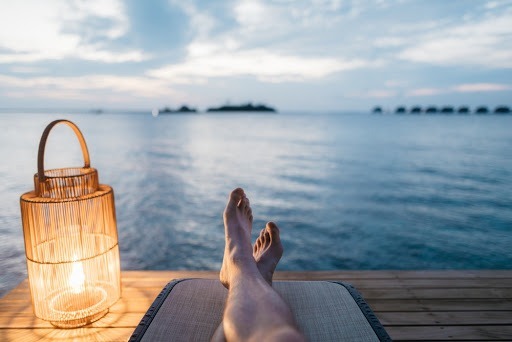 Hence, we at the PolicyStreet has listed down 10 best resorts in Malaysia for domestic travel to make your job much more easier in choosing the best place to stay for your long holiday vacation. Shangri-La’s Rasa Ria Resort and Spa, Tuaran. It is undeniably true to say that Sabah is one the most beautiful state there is in Malaysia. This beautiful state is known for its beaches, coral reefs, abundant wildlife and rainforests. It’s also famous for its 4,095m tall Mount Kinabalu which has become the significant symbol of the state and Malaysia itself. This state which has been given a nickname “Land Below the Wind” has one of the best resorts in Malaysia, located in Tuaran which you can have a look on the magnificent view of the Pantai Dalit beach and a breathtaking scenery that you will never regret spending every single penny to stay at this to-die-for resort. This resort deserves to be one of the 10 best resorts in Malaysia as it provides everything you will ever need from a free high-speed internet (WiFi) to a babysitting services. Thus, Shangri-La’s Rasa Ria Resort and Spa in Tuaran is one of the must place to stay when you are in Sabah for a vacation with your family, partners and friends. Port Dickson is a famous vacation spot in Negeri Sembilan. It is famous for its beaches where people can easily access to it to have a picnic by the beach or play various water-sport activities with family and friends. 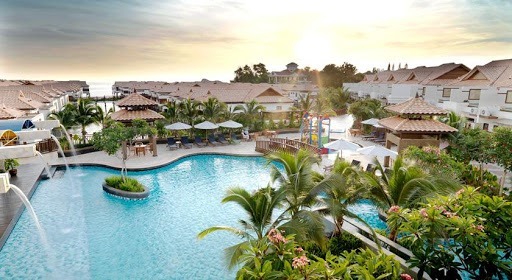 On top of that, Port Dickson also has one of the best resorts in Malaysia where the resort features an exceptional collection of Balinese-inspired villas theme linked by a spacious boardwalk where you can witness the splendid view of the open sea. Grand Lexis resort offers luxurious accommodation that are equipped with modern amenities such as air conditioner, flat TV screen, private pool and many more. Besides that, this resort is also located at a very ideal location where it is nearby with the other attractions include Tanjung Tuan Beach, Port Dickson Ostrich Farm, Rachardo Light House and more. Hence, if you are planning to go to the Port Dickson, Grand Lexis resort would be best place for you to stay for your vacation and rejuvenate you mind body and soul. Bon Ton resort is definitely worth to be putted on your vacation bucket list. This resort has its own uniqueness where it is built within the grounds of a 100-year-old coconut plantation and all the villas that they provided are individually designed. If you are looking for a unique and comfortable resort to stay in Langkawi, this resort is totally recommended. Bon Ton resort has also received the certificate of excellence and awarded as one of the best travellers’ choice 2018 winner from TripAdvisor. 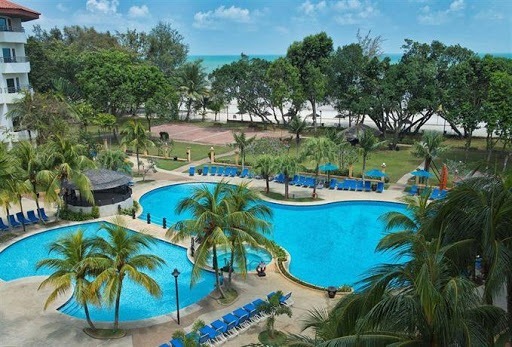 ParkRoyal Penang resort is situated 45 minutes away from Penang International Airport. This resort offers great hospitality and welcomes you with its pleasant, refreshing view of lush greenery in Batu Ferringhi beach where you could have a relaxing and enjoyable holiday and vacation. 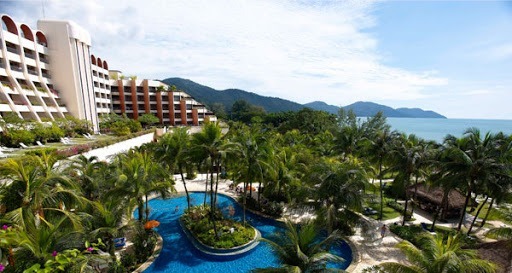 ParkRoyal Penang Resort is located right on the beach which makes that the main attraction of the resort. In addition, the resort is only within walking distance to the Night Market and is very well connected to many other attraction places. If you are by chance planning to have your spend holiday in Penang, this resort will definitely up to your expectations. Cameron Highlands is one of the most famous holiday destination in Malaysia. Can you imagine overlooking the lush greenery tea plantation and rolling hills while having your tea time at the balcony in the cool crisp air? That would be like heaven. If you choose to stay in Cameron Highlands resort, you could certainly experience the exact same thing. What is more interesting about this resort is that the uniqueness of the resort’s design which is a combination of the traditional English charm that will give you a sense of nostalgia during the colonial times and Asian hospitality. 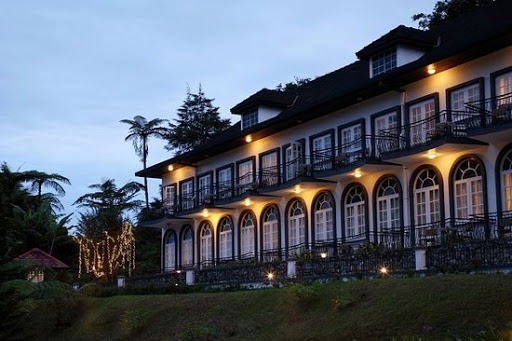 Hence, this one of the best resorts in Malaysia is a place where you should pick as your accommodation if you are happen to visit Cameron Highlands for your vacation. This 5-stars resort is built on a 22.7 Acre valley sheltered within a cluster of towering limestone which gives a very different vibes from any other resorts and retreats. The calm ambiance will help restore your energy and chase all your worries and problems away. 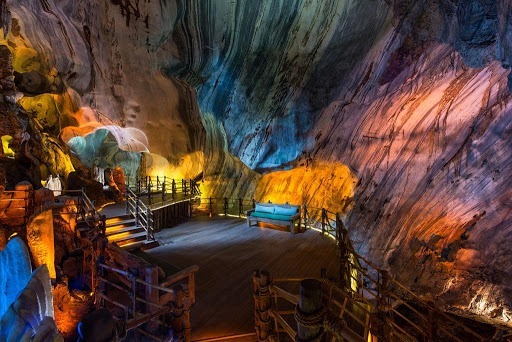 What makes it more appealing is that the location of this resort features a combination of natural caves, pristine jungle, sparkling waterfalls and geothermal hot springs. Not to mention that this resort consisting of 45 luxury villas offering holistic wellness and spa experiences. As a matter of fact, this resort has got to be the choice of your accommodation when you are in Perak for your vacation. 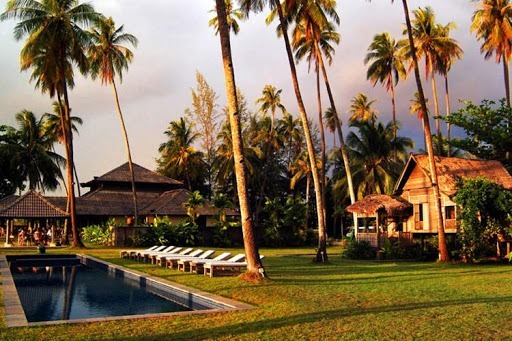 Tanjong Jara Resort is situated on the pristine East Coast of Peninsular Malaysia. 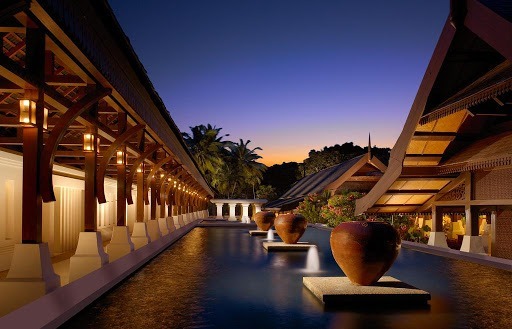 This tranquil resort which has been designed to reflect the elegance of 17th century Malay palaces will instantly captivate people who came. Besides that, this resort emphasizes on the purity of spirit, health and well-being which bespeak the concept of Suci Murni this resort held on to. It encourages true rejuvenation for body and spirit. This resort would be the best option for people who are looking for some sun, sand and fun in Pahang. With Balok Beach and South China Sea lie alongside the resort, people can enjoy the majestic view of the beach and partake in various activities that will keep both children and adults occupied. Swiss-Garden Beach Resort offers various kind of facilities and services which caters to everyone’s needs and their main concern is to prioritise their customers’ satisfactions. Hence, you should consider spending your holidays at this resort if you are in Kuantan, Pahang. 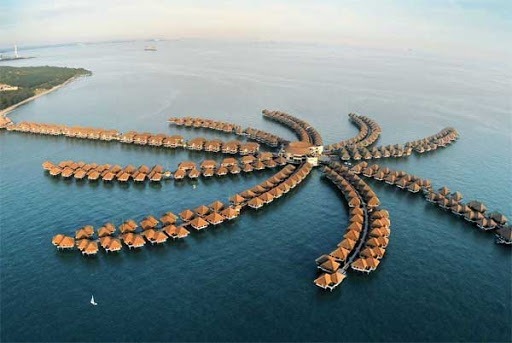 AVANI Sepang Gold Coast Resort is a one hour drive from Kuala Lumpur where it stretches out from the Sepang coastline and located close to Sepang International Circuit (F1). This resort is inspired by the Polynesian and Maldivian architecture with a combination of contemporary Malaysian interior design, each over water villa that shape a palm tree. On top of that, this resort offers guests a wide range of sports and entertainments activities and good selection of great foods and beverages. AVANI Sepang Gold Coast Resort will ensure you take a full advantage of the relaxed comfort and leisure while they take care of all the details. 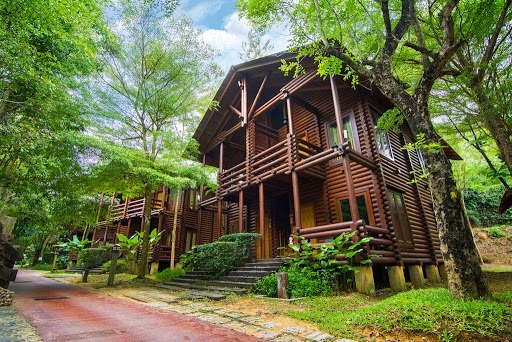 Located 20 minutes away from the UNESCO World Heritage, this resort is indeed one of the biggest and best resorts in Malaysia, which is enclosed within a tropical forest in Ayer Keroh, Malacca. Designed by the resort itself, Philea Resort and Spa ensure guests with the utmost comfort with its modern facilities such as private balcony, swish bathtubs, and spacious veranda. Moreover, a man-made waterfall which is built with natural resources gives an exclusive touch to the resort. An exquisite selection of cuisines are also offered by Philea Resort & Spa at Cravo Cravo, Bayu Cabana, Nusantara, Chill Out Bar, and a first-class dining experience found at Tropics Lounge. Therefore, Philea Resort and Spa is undoubtedly one of the best resorts in Malaysia and one of Malaysia’s tropical paradise. There you have it, the top 10 best resorts in Malaysia for you to spend your vacation with your family and friends while simultaneously creating beautiful memories together with them. No time is ever wasted when you spend your time together with your precious loved ones. However, whenever you are travelling for whatever the reason is, it is always important to have a travel insurance. 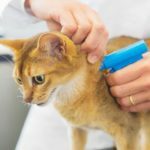 As a matter of fact, MSIG Travel Insurance has created a solution for you where you can get a domestic travel insurance policy with only RM 31/trip. Get your travel insurance with us at PolicyStreet and you are entitled to get 25% off and a RM10 rebate upon purchasing MSIG TravelRight Plus Insurance with us now! Visit www.PolicyStreet.com to find out more!